England lost the last round clash to Belgium to finish runners-up and secure an easier draw in the following stages. The Three Lions have failed to keep a clean sheet in a single group stage game for the first time in last 15 appearances at the World Cup. Colombia have huge woes caused by James Rodriguez’s injury. Bayern Munich star will likely not be ready to feature on Tuesday. England suffered a sweet defeat on Thursday when they fell 1-0 to Belgium to book the runners-up finish and go into the much easier route through the competition. Truth be told, Colombia are by all means a tougher opposition that Japan for the last 16 round, but should Southgate’s troops eliminate Los Cafeteros, they will be up against either Sweden or Switzerland on the way to the semi-final. Colombia edged their way to the R16, passing the group only third time in their history, the second consecutive following the impressive run they’ve had four years ago in Brazil. The Los Cafeteros have the same manager here, but they do not look anything like the team which thrilled the world with a magnificent build-up play in the previous edition of the tournament. Los Cafeteros did remind of that style only in the second round tie when they eased past Poland 3-0. The premature exit of their star man James Rodriguez clearly had an impact as Colombia look to be a completely different team without the Bayern Munich creator on the pitch. Nevertheless, it was a late winner from Barcelona’s Yerry Mina which made the difference as the centre-back headed the ball home after a beautifully taken corner. It was his second goal of the tournament, Mina being the lone Colombian with more than a single goal to his name so far. England have a man with as many as five goals to his name in spite of the fact he skipped the third round tie with Belgium. Harry Kane was absolutely brilliant in the opening two affairs, but it will be interesting to see if he will be able to keep such splendid form going against stronger rivals in the eliminatory phase. Jose Pekerman has huge issues with the fitness of his stalwart James Rodriguez who is likely to be left out of the starting line-up here. Midfielder Abel Aguilar is also sidelined due to injury and will likely skip the England tie. Carlos Sanchez made the return from suspension. Jose Izquierdo could get the chance to start the match instead of James Rodriguez. 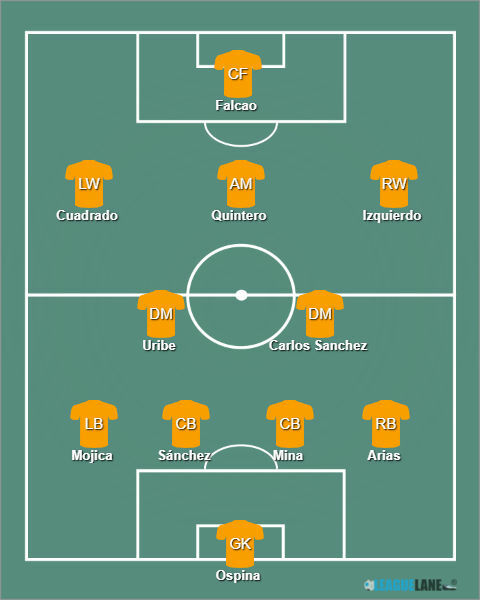 Ospina – Arias, Mina, Davinson Sanchez, Mojica – Uribe, Barrios – Cuadrado, Quintero, Izquierdo – Falcao. England made nine alterations from the side that destroyed Panama 6-1 in the second round. Marcus Rashford and Jamie Vardy were paired in the final third, but they did not do much to hurt Courtois on Thursday. 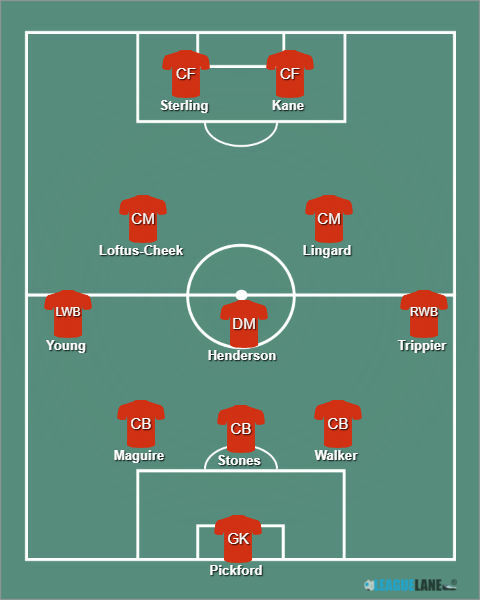 Kane and Sterling are expected to be back in the squad and lead the line for the Three Lions here. Unlike his colleague on the other side, Gareth Southgate does not have injury concerns to handle ahead of a much important clash. Pickford – Walker, Stones, Maguire – Trippier, Loftus-Cheek, Henderson, Lingard, Young – Sterling, Kane. 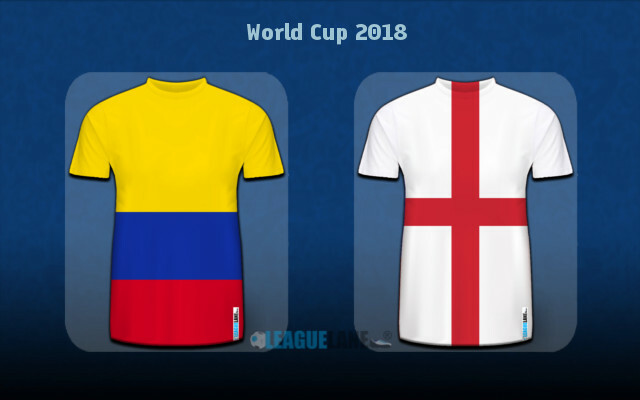 England have a positive head to head record with Colombia. This will be their fourth head to head encounter and the South American outfit are yet to clinch their first victory. The Three Lions won two and drew one so far, winning also the lone previous H2H affair at World Cups, back in 1998 when Anderton and Beckham bagged goals in a 2-0 victory in the group stage. The two sides also met each other in a friendly in May 2005 when England picked up a 2-3 victory with a hat-trick from Michael Owen in New Jersey. The Three Lions showed much more so far in the tournament, but it’s fair to say they’ve had easier rivals en route to securing the knockout stage appearance. This will be their genuine test and should they pass it successfully, Gareth Southgate and his men have an open way to the semi-final with either Switzerland or Sweden waiting in the last eight. A lot will certainly depend on whether James Rodriguez will recover for Los Cafetereos. The Colombians generally struggled badly to create anything up front without James on the pitch. Bayern’s star will reportedly start from the bench here which should be a major boost for England who are worth backing to qualify to the quarterfinal at the odds of 1.53. In all, we expect a very tight affair to be decided by a single goal, meaning the alternative betting option would be Under 2.5 goals FT at the odds of 1.50. England to qualify @ 1.53. Under 2.5 goals FT @ 1.50. Correct FT Score: 1-0 England @ 6.00.